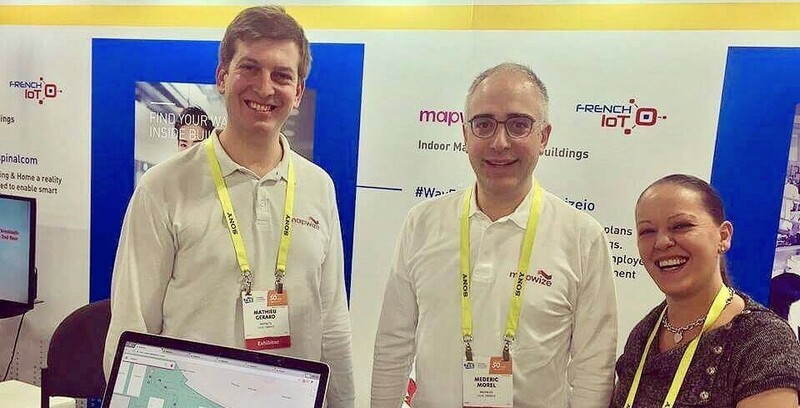 We returned to Las Vegas to once again exhibit Mapwize at CES, the world's largest technology show. Our purpose this year was to announce and share the new version of our indoor mapping platform. The occasion was a great success for us, with more than 500 visitors stopping by our booth, in addition to some very positive press coverage. For its 50th anniversary, CES gathered more than 3,800 exhibitors and 175,000 visitors. Large companies, including Cisco and Bouygues Telecom, ranked Mapwize among their favorites of the event. Just as flattering, The Good Life magazine included Mapwize on their list of the five most promising startups, and predicted that we would be among the up-and-coming companies at next year's CES. Challenge accepted! TomTom, the world leader in mapping and GPS technologies, selected Mapwize as the indoor mapping solution for its BRIDGE platform. A webinar has been set for February 1st to present the numerous use cases and benefits of indoor mapping in synergy with TomTom BRIDGE. Mathieu Gerard, CTO of Mapwize, will be presenting live alongside the TomTom team. Register now to participate in what should be an extremely informative webinar. 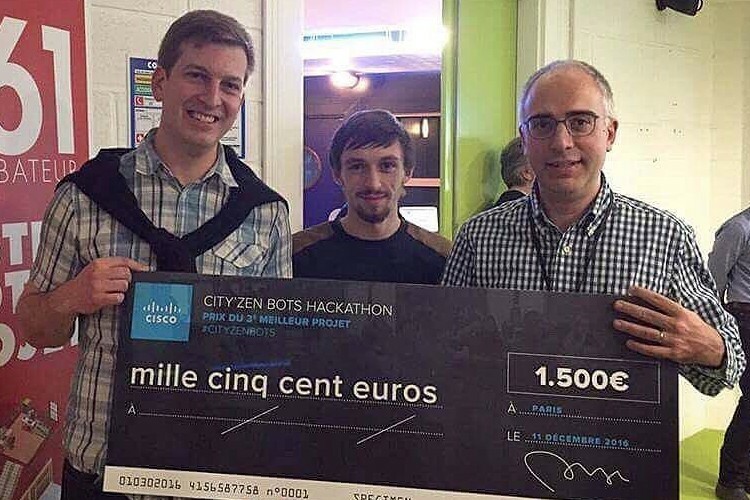 Last year, Cisco, the world leader in network equipment, organized the City’Zen Bots Hackathon from December 9th to 11th. The goal of this Hackathon was to develop solutions based on Cisco’s chatbot platform in order to reinvent smart cities. Our team spent the weekend coding a chatbot that guides users inside of buildings via a simple text chat. You just ask the bot where a specific destination is, which meeting room is available, and how to get there, and the bot responds with easy-to-follow directions in the form of text and small images. Thanks to the Cisco Wi-Fi infrastructure, the bot is also able to locate the user's coordinates to provide even more precise directions.